It’s an upsetting and stressful situation when you’re the victim of an auto accident. It’s even more frustrating when the driver who damaged your car flees the scene. Hit-and-run accidents in Kansas are the result of many drivers being either uninsured or underinsured. These drivers don’t have enough insurance to cover the expenses related to the damage or the injuries they caused. Instead of facing responsibility, they drive away to avoid facing civil liability or criminal charges. This puts the injured victims in an unfair and complicated situation. In the state of Kansas, 12 percent of all drivers are either uninsured or underinsured. If either type of motorist hits you and drives off, you need to take immediate action to protect yourself. You face considerable obstacles in getting the compensation you need to fix your car and pay your medical bills. Make note of every detail surrounding the accident, including the type of vehicle and license plate of the hit-and-run driver. Also get the names and contact information of any witnesses at the scene. Our uninsured motorist attorneys of Wichita and Salina, KS recommend that you document your injuries, car damages, and the accident scene itself with photographs. Call the police when the accident occurs, and obtain the name of the officer and accident number. The Brave Law Firm attorneys of Wichita and Salina, KS will also conduct our own investigation. Our representative will further investigate the accident scene, take photos, analyze surveillance videos, and talk to local businesses and police. Underinsured drivers may have insurance, but it’s not sufficient in covering the medical bills that result from catastrophic injuries. Your own underinsured motorist coverage is designed to provide additional compensation when you’re injured by such a driver. Unfortunately, insurance companies often fail to supply their own clients with fair compensation following an accident. 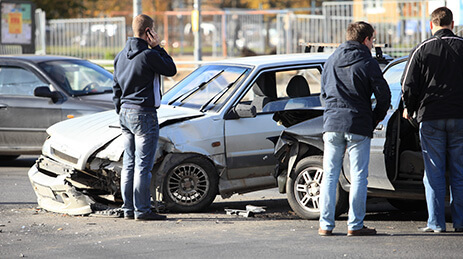 Contact Brave Law Firm if you’ve been injured by a hit-and-run, uninsured, or underinsured driver. You don’t have to suffer because of someone else’s reckless mistake. We have the experience and talent necessary for a successful litigation. Our attorneys of Wichita and Salina, KS are ready to win you the compensation you need for a complete recovery!